The fonds "The Ovahimba Years" comprises Rina Sherman’s long-term data collection of the Ovahimba and related peoples of the Kunene North Region of Namibia and the Cunene and Namibe Provinces of Angola. It contains film and video images, sound recordings, drawings, photographs, bibliographical elements (copies of articles), unpublished notes and texts, correspondence, as well as administrative and production files, inventories and proposals, covering the period from 1996 to the present day. A large part of these elements are based on the everyday and ritual life and history of one extended family, that of the late Headman of Etanga, heir to the throne held by the Tjambiru family for numerous generations. The rest of the elements cover the life and times of relatives, friends and members of the surrounding community, as well as that of other Ovahimba communities and related peoples (Ovakuvale, Ovadhimba, Ovahakaona, Ovatwa, Ovacaroca, etc.) in Angola. Dance performances, as well as spirit calling ceremonies (trance) feature as an important part of the documentation. There are also numerous documents on customary law cases and community meetings. From 1997 to 2004 Rina Sherman lived with the family of the Headman of Etanga at their homestead located on oHere hill outside Etanga, a settlement in the north-western Kunene region of Namibia. During her stay in the field, she documented the lives of the family, their relatives and friends. Over a period of seven years, she established an extensive record of their everyday and ritual lives in text, sound, video and photography. 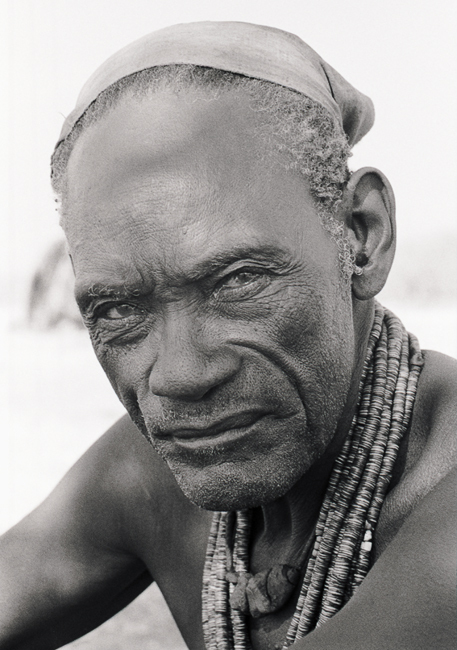 In 2003, Rina Sherman extended her research to the south-western provinces of Cunene and Namibe in Angola where she documented the culture of the Otjiherero speaking peoples, the Ovahakaona, Ovadhimba, Ovagambwe, Ovakuvale, Ovatwa … During her stay in Namibe in the Cunene province of Angola, she created extensive photographic and video documentation of Mbali Funeral Art. Rina Sherman raised funds and coordinated the construction of a Community Resource Centre in Etanga, which was completed in 2004. Rina Sherman is currently processing the data collected during this period. She is editing a series of films, establishing a catalogue of photographs and sound recordings, and writing up the years of journals kept in the field. In 2014, Rina Sherman donated her archival collection The Ovahimba Years to the National Library of France. In 2015, Rina Sherman presented The Ovahimba Years / Rina Sherman, a multimedia exhibition, at the BnF - François Mitterrand.